<< Eurovision Top 250 – What are the most popular Eurovision songs? Tune in for the countdown on New Year’s Eve 31 December, 11:00 CET! 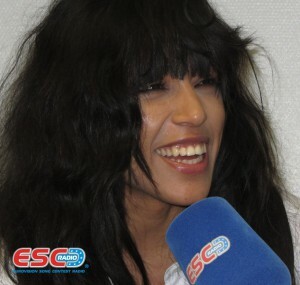 Loreen has extended her reign at the top of the ‚Eurovision Top 250‘ into a fourth year with Euphoria. Last night, during the last 30 minutes of the year, the ranking was complete, and Sweden’s 2012 Eurovision winning song finished on top once again, congratulations! Runner-up this year is Conchita’s Rise Like A Phoenix, the 2014 Eurovision winner from Austria, followed by Grande Amore, performed for Italy at the 2015 Contest by pop opera trio Il Volo. It’s the country’s best result in this voting, held for the eighth time this year. Five songs from the 2015 Eurovision Song Contest stormed right into the Top 10, among them Loic Nottet’s Rhythm Inside. It’s the first time ever for a Belgium entry to reach the top ten. Polina Gagarina’s A Million Voices (#9), Elina Born & Stig Rästa’s Goodbye To Yesterday (#7) and Måns Zelmerlöw’s Heroes (#5) complete the quintet. As in former editions of the ‘Eurovision Top 250’, songs from recent years dominate the voting. ESC classics that fared well are for example Waterloo, ABBA’s 1974 winning song, Nocturne (Secret Garden, Norway 1995), Hold Me Now (Johnny Logan, Ireland 1987) and Tu Te Reconnaîtras (Anne-Marie David, Luxembourg 1973). For the complete ranking of the ‘ESC Top 250′ please see below. On this occasion, we’d like to thank our partner website 12points.tv for the organization of the voting, and also fan sites eurovisionbelgium.blogspot.com, ilkar.blogspot.com.songfestivalweblog.nl, eurovisionireland.net, and infe Poland. for supporting this project. ESC Radio wishes everyone a HAPPY NEW YEAR 2016! This entry was posted on Friday, January 1st, 2016 at 10:47 am	and is filed under News. You can follow any responses to this entry through the RSS 2.0 feed. You can leave a response, or trackback from your own site.